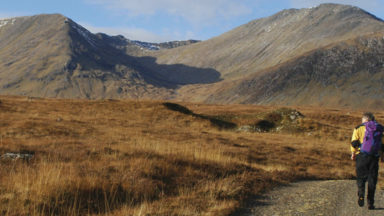 Valley walks should be possible between late May and late October, but for higher routes, late June until the middle of October would be the best time to go. 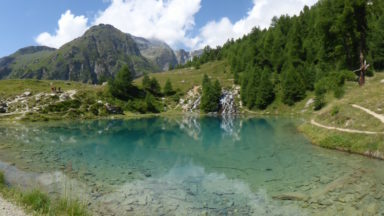 Zermatt, Saas Fee, Grächen, Zinal, Les Haudères, Arolla, Champex, Fiesch, Kippel and Blatten are just a few of the centres used for walking in the Valais. 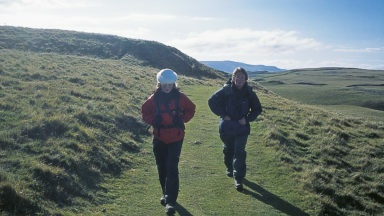 Walks are graded 1-3 for length and/or difficulty. Grade 1 is suitable for family outings; Grade 2 is moderate walking on good paths, but with the need to be well shod; Grade 3 routes are more strenuous and with some steep ascents and descents with which to contend. No special equipment is required. The Matterhorn, Monte Rosa, The Dom, Zinalrothorn, Weisshorn, Ober Gabelhorn, Dent Blanche, Bietschhorn and the Grand Combin form a backdrop to the walks. Also featured, the Grosser Aletschgletscher is the longest icefield in the Alps, while magical valleys like the Lötschental. 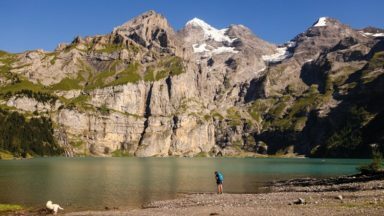 Saastal, Fieschertal, Val d'Anniviers, Hèrens and Bagnes have a wealth of walks on offer. With the greatest collection of 4000m peaks in Western Europe and charming valleys and hillsides dotted with chalets and hay barns, the Valais represents the quintessential Alps. 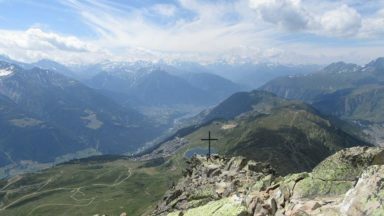 This walkers’ paradise in southern Switzerland is located on both sides of the Rhône valley and includes the whole of the Pennine Alps, with France and Italy forming its southern and western borders. The region is crowned by iconic mountains including the Matterhorn, Dent Blanche, Monte Rosa and the Combin. It explores the deep valleys of the region including the Lötschental, Saastal, Mattertal, Val d’Anniviers, Val d’Hérens and Trient. There are pristine snowfields and long glacier tongues, meadows full of flowers and marmots that will eat out of your hand. Accommodation is plentiful, ranging from simple mountain huts and back-country dormitories and campsites, to the grandest of hotels, and the integrated public transport system is world-renowned. Routes wander from the popular Mattertal and Saastal valleys, to the quiet reaches of the Fieschertal and the picture-perfect Val d'Hèrens. 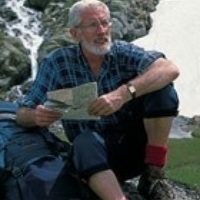 A popular guidebook, this fourth edition continues to provide excellent routes for walkers of any ability – gentle valley strolls, walks of moderate difficulty and strenuous, steep routes from accessible and tourist-friendly bases such as Saas Fee, Zermatt and Arolla. The Landeskarte der Schweiz (LS) series of maps that cover the Valais region are magnificent works of art. Open any sheet and a picture of the country immediately leaps from the paper – for by clever use of shading, contours and colouring, the line of ridges and rock faces, the flow of glaciers and streams, the curve of an amphitheatre, narrow cut of a valley, expanse of a lake, and the forest cover of a hillside all announce themselves with great clarity. They are a source of inspiration prior to setting out and a pleasure to use day by day. At the head of each valley section in this book, a note is given in regard to the specific map recommended for use. In every instance the 1:50,000 series of Wanderkarten, produced in collaboration with the Swiss walking organisation the SAW (Schweizerische Arbeitsgemeinschaft für Wanderwege), has been chosen. Although more detail is presented on the 1:25,000 sheets, the Wanderkarten – distinguished by their orange covers and with the letter ‘T’ after their official number – should be adequate for most, if not all, the walks described. These maps are available in the UK from Stanfords in London (see Appendix A for the address) or locally in the Valais from bookshops or tourist offices. The commercial publisher Kümmerly + Frey also covers the Valais with a series of 1:60,000 maps based on the LS sheets, and these are mostly available in local resorts. Their 1:120,000 sheet Wallis covers the entire canton and is a useful locator, with a number of major long walking routes outlined in red. Some regional tourist authorities also produce their own Wanderkarten to show walking routes based on specific resorts or valleys, and these are on sale at the local tourist offices. Walk 46, page 141: Please note that the high route option via Ober Sattla has been officially closed and is no longer feasible. There is a path from Taschalp to Ober Sattla, but only as far as the viewpoint and no further. Readers planning to visit the Monte Rosa Hut above Zermatt are advised that the route described as Walk 50 in the current (4th edition, published 2014) Valais guide has changed dramatically due to climate change and is no longer valid. The current route involves a steep descent onto the Gorner glacier by way of near-vertical ladders, followed by a glacier hike crossing numerous widening crevasses. Glacier recession and the collapse of moraines will inevitably mean further changes in the coming months and years. 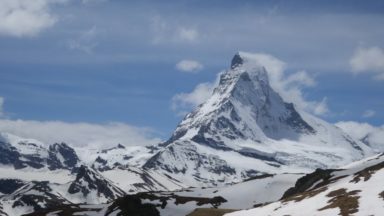 Unless adequately equipped and experienced in glacier travel, the Zermatt website (www.zermatt.ch) recommends walkers to undertake this route only with a mountain guide. A number of websites have changed since this guide went to print.